We love a good trail in our house and so we were very excited to hear that there’s a brand new one for us to try – the Gruffalo Spotters Trail. It’s at Salcey Forest as well as Wendover Woods. Just to make it clear, we haven’t yet been to try out the trail, but knowing what’s at both sites we thought it might be useful to give you some information about what it is if you want to go. Salcey opens Friday 24th February. Wendover is already open. Like anywhere I feature on Milton Keynes Kids, if there are adverse weather conditions like high winds do check that each site is ok to visit before travelling. This is the Wendover Woods website and they can be contacted on 0300 067 4160. This is the Salcey Forest website and they can be contacted on 0300 0674340. Well if it all works, then I think it’s a genius idea. There are five different footprint markers in the woods. 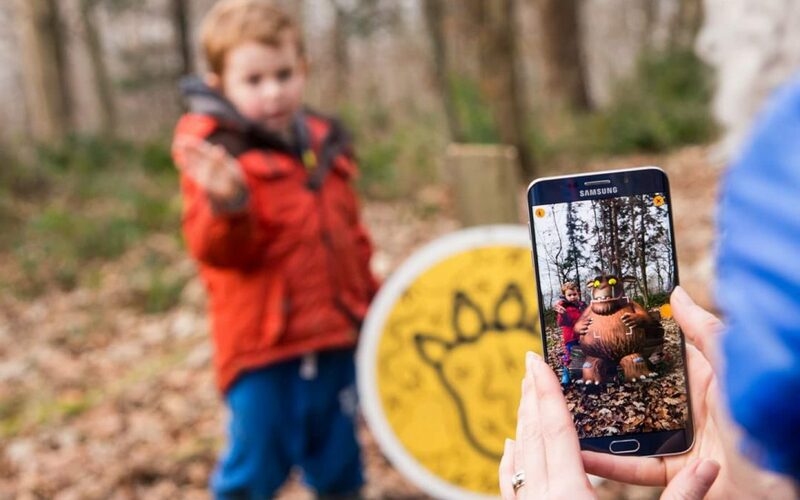 Having downloaded the ‘Gruffalo Spotters App’ on your phone before you go, you’ll get clues to where they are. When you see one, you point your phone at the marker and then the character will appear on your phone. You can then take a picture of your child with the character. 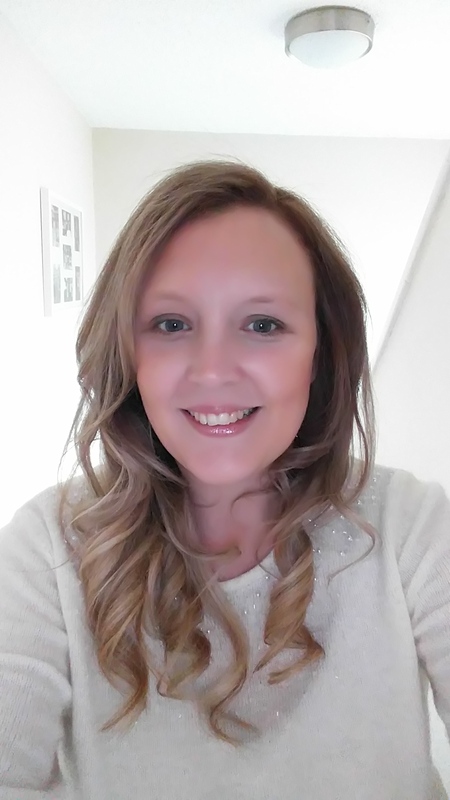 Thank you so much to Liz for the picture featured above – her family were given the opportunity to test out the app before it launched. Her son appears in this Forestry Commission video. It’s worth watching if you haven’t seen it. Do then scroll down for more info. Where is it and how much does it cost? The trails are in woods across the country, but the two closest to us are Salcey Forest in Northamptonshire and Wendover Woods in Buckinghamshire. Salcey is about 25-30 mins away by car from where we live in Milton Keynes. Wendover is around 45 mins. The trails themselves are free to enjoy. You do pay to park. Salcey is £4 for the day. Wendover is £1.70 for up to 2 hours, 2-4 hours is £3.30, and over 4 hours is £6.10. You can also buy an activity pack for the kids which is £3 which contains an evidence collection bag, five animal activity and facts cards, spotter’s guide, stickers, magnifying glass, ruler and pencil. What else is at Salcey Forest? We’ve been to Salcey a few times and really enjoy it there. It’s well known for its big tree top walk which is great fun for climbing up and then running down – it’s buggy and wheelchair accessible. There’s also a big climbing frame – although it’s too big for my eldest who is three and a half as I write this. We also like the little houses – my boys love hiding in them. There’s a nice café. You can see all of our pictures on my previous review of Salcey Forest. Watch the video here of our adventure so you get an idea of what it was like when the Stick Man Trail used to be there and then scroll down for more information. What else is at Wendover Woods? 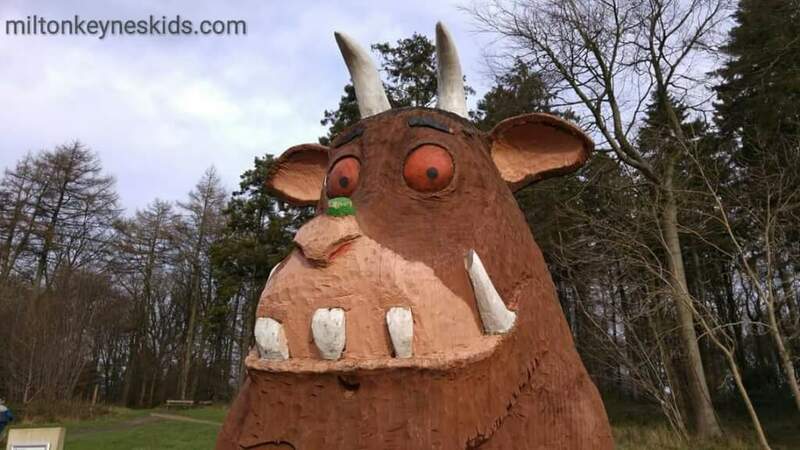 There’s a big Gruffalo statue that is fab for taking pictures with. There’s a den building area and a play area for kids with wooden play equipment, although when we went in December 2015 we felt that the play equipment could do with a bit of updating. You can read all about our previous visit here. When is the Gruffalo Spotters Trail on until? I can’t find the details of the one at Wendover Woods, but the one at Salcey is on until 30th October 2017. Drive. The best postcode for Wendover is HP22 5NQ and for Salcey it’s NN7 2HX. Salcey especially will be busy at the weekends. It opens at 8am so I’d aim to get there early if you’re planning to go soon as I reckon the trail’s going to be really popular when it first opens. It may be worth going in the week if you want to avoid the crowds and make sure you can park – or wait a few weeks to visit. Don’t say I didn’t warn you. Parking is limited. Definitely wear wellies – it can get so muddy at both places. If you want to save money then take a picnic. And make sure you download the app before you go as there’s no phone signal. Just search for ‘Gruffalo spotters’ in your app store. If you do visit PLEASE email me your photos to laura@miltonkeyneskids.com. And if you want to explore other places in the local area / on your way back – check out the Milton Keynes Kids Map.